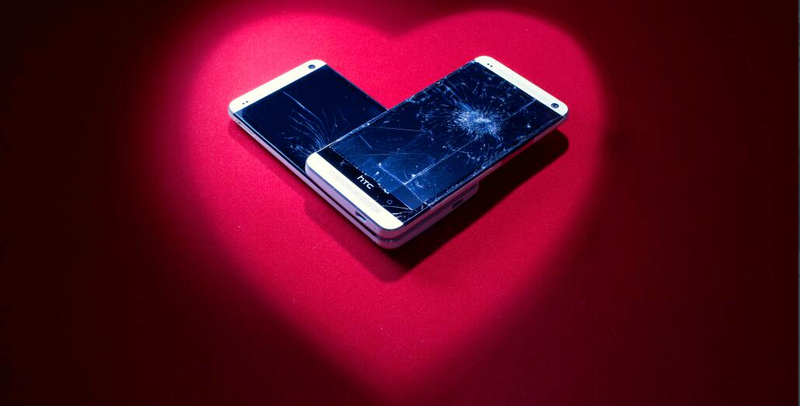 Today, HTC took to to Twitter and posted up a sad picture of two HTC One phones with cracked screens, placing them in the shape of a heart. HTC continued on and said “If only broken hearts were this easy to fix.” Does HTC have a repair service for customers in the works? HTC tweeted that additional info would hit the web on February 18, which is next Tuesday. Does HTC have so many left over One phones from last year that they will allow buyers to replace any broken ones? You never know – it could happen. Any ideas as to what HTC is teasing?